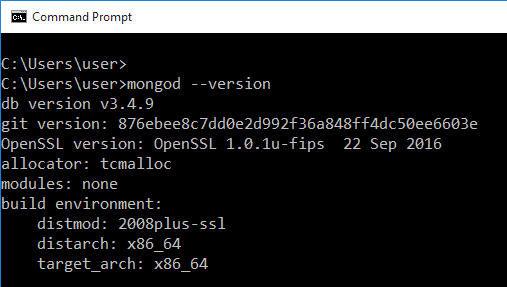 To check mongodb version use the mongod command with --version option. On windows you will have to use full path to the mongod.exe and mongo.exe to check mongodb version, if you have not set MongoDB Path. But if MongoDb Path is being set, you can simply use the mongod and mongo command.